Properties in Villelongue-d'Aude average 4.6 out of 5 stars. 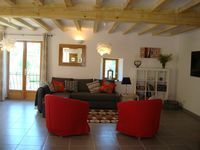 Property 9: Charming cottage in a green setting in absolute calm for 6 to 11 people. Property 18: Downtown Gite Limoux Of Character, Close Aude Equipped any comfort. Property 26: in a historic Cathar village house of 120 m2 + terrace for 2-11 pers. 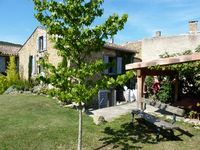 Property 31: Family-friendly Barn conversion in Cathar Country, near Mirepoix.